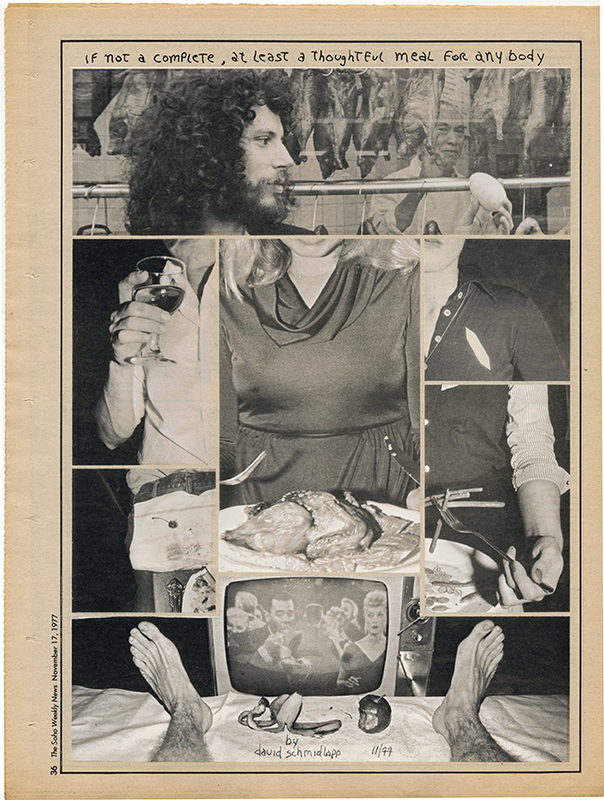 There has been a reciprocal relationship in Schmidlapp’s work with print, film and projection. These mediums are intertwined and play as references throughout his photography. 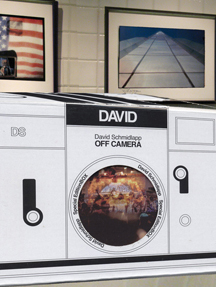 In the late 70’s,David was a regular contributor with my ‘photo-pages’ in the trendy Style section of a downtown art weekly, Soho Weekly News, where Schmidlapp produced, photographed, wrote, and design his own photo-stories. 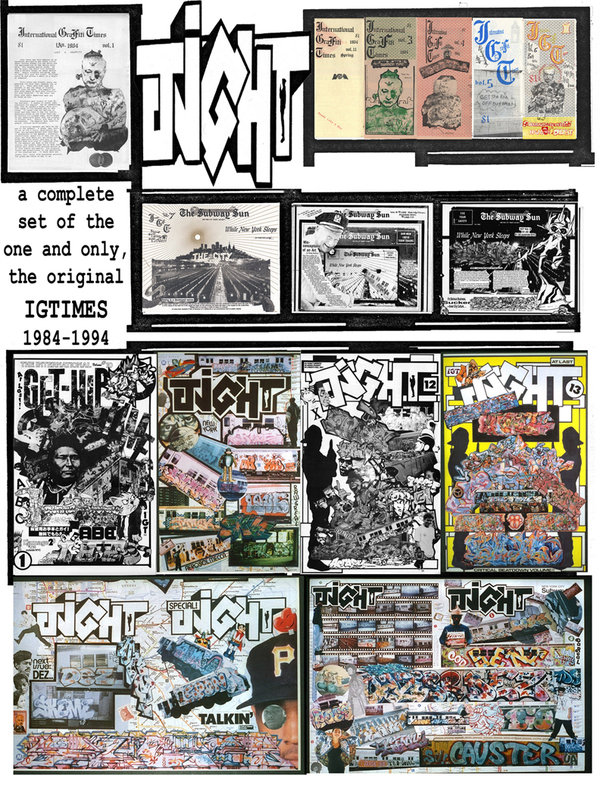 In the 80’s , Schmidlapp published the premiere, popular zine on subway / street art, the IGTimes, (The International Get Hip Times), (IGT), (TIGHT), International Graffiti Times) Complete sets of IGTimes are now collected in several notable libaries, e.g., Stanford University and Fales at New York University. The entire archive,consisting of thousands of pre-digital artifacts, i.e., correspondences, zines trades, news clippings, photos, writings and layouts is housed in the Hip Hop Collections at Cornell University Library. For collectors and cultural enthusiasts, there are a few complete sets of the IGT. (from an edition of 100). Inquire for the current global prices.